Category Archives for "Online Reviews And Social Proof"
Online Reviews are the form of ‘social proof’. (Almost) Gone are the days of asking a friend what to do – the new friend is online, or on your mobile phone as you try to find a cafe. 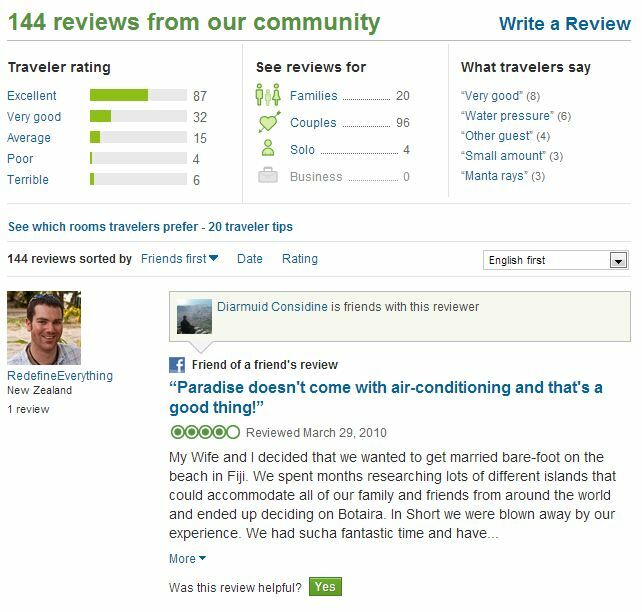 Facebook – A Future Alternative to TripAdvisor?